Human physical performance is influenced by genetic factors. 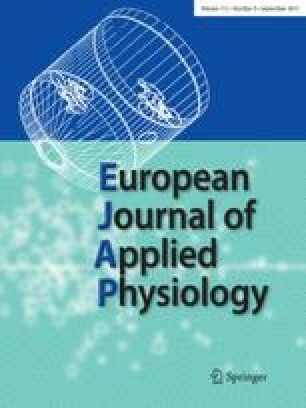 A variation in the human angiotensin I-converting enzyme (ACE) gene has been identified, in which the insertion (I) variant may be associated with elite endurance performance, and the deletion (D) variant seems overrepresented amongst elite sprinters and short-distance swimmer status. We might thus anticipate I-allele frequency to be elevated amongst swimmers competing over very much greater distances, and have examined this hypothesis. Thirty-five truly elite very-long-distance swimmers were classified as better at 1- to 10-km distances (n=19, SLD group) or those best at 25-km races (n=16, LLD group). Genotype frequencies (II versus ID versus DD) differed between the two groups: 6% versus 47% versus 47% for SLD, and 18.8% versus 75% versus 6.2% for LLD (P=0.01). I-allele frequency was 0.29 for the shorter distance swimmers, and 0.59 for the 25 km group. These data are consistent with an association of ACE I allele with longer distance swimming, and the ACE D allele with swimming shorter distances.